Originally posted: August 1, 2018 . Last modified: March 1, 2019 . 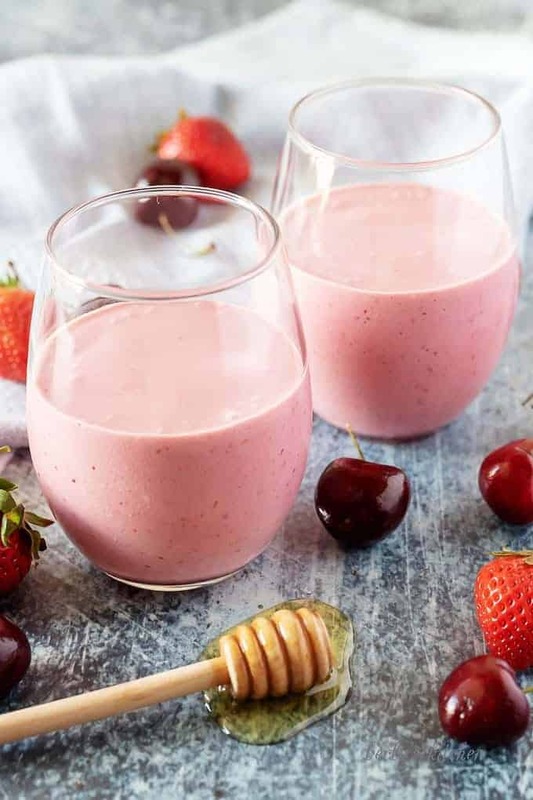 Check out this delicious berry smoothie using strawberry flavored Dannon® Oikos® Traditional Greek Yogurt. A simple, tasty start to your day! Morning times are some of the busiest times of the day in our household. In spite of that, we still need a good breakfast to get us rolling. 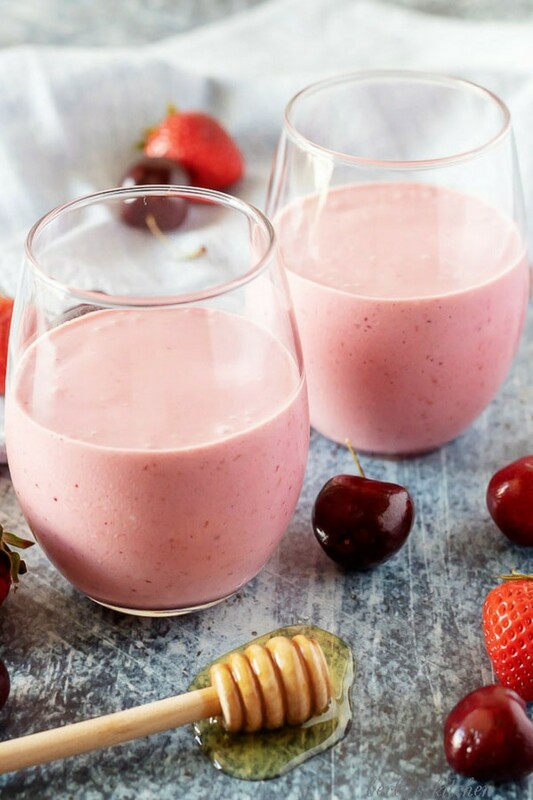 What better way to do that than a quick, delicious berry smoothie? 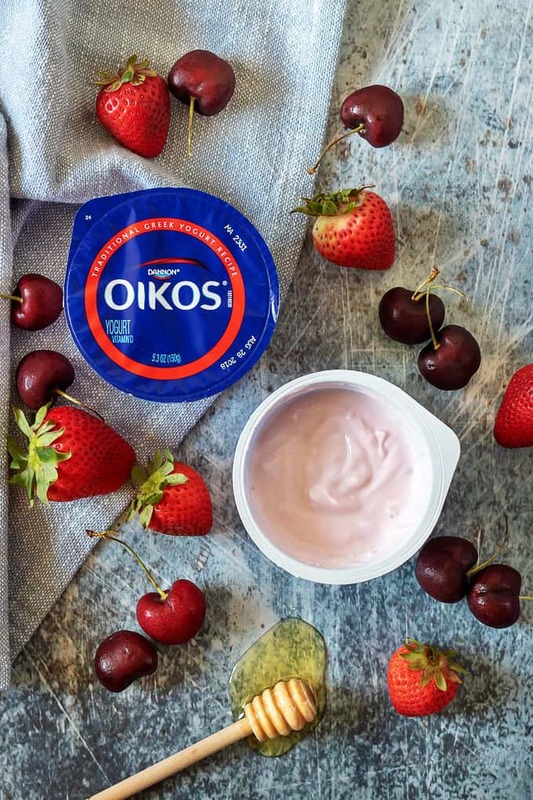 And now, thanks to Dannon® Oikos® Traditional Greek Yogurt, we can make a drink that’s silky smooth and loaded with protein. 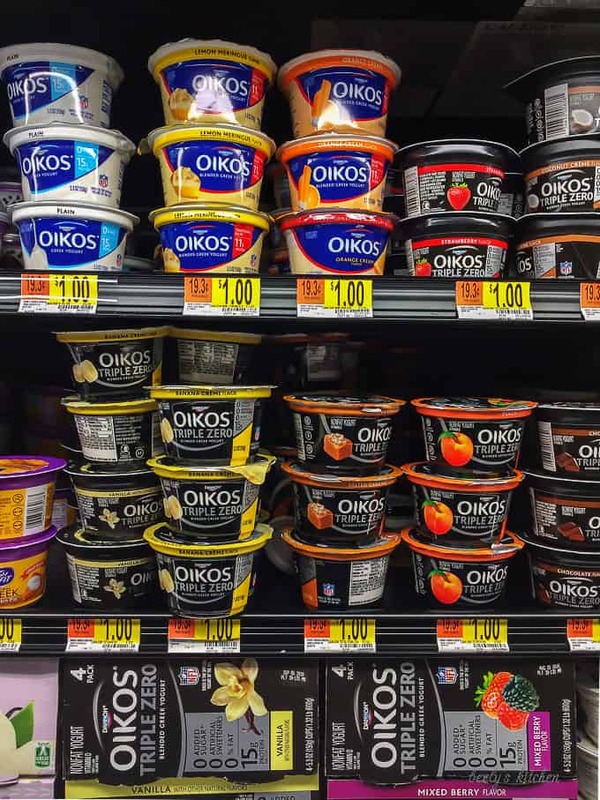 Kim and I have been buying their Greek yogurt for years, so we were super excited to make this recipe for you. The yogurt comes in a variety of flavors, like Key Lime, Raspberry, Coconut Vanilla, Plain, and many more. For our berry smoothie, we chose Strawberry flavored and it mixed perfectly with the frozen fruit and honey. 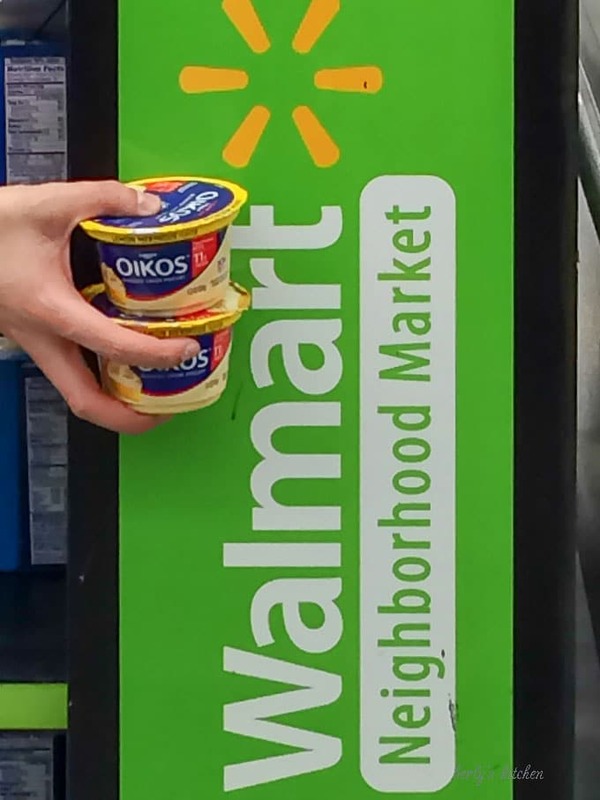 You can find your favorite flavor of Dannon® Oikos® Traditional Greek Yogurt at your local Walmart. Just check the refrigerated dairy section for both single serving and 4-pack options. Keep in mind that the yogurt has to be stored in your fridge to stay cold. As you can see from the photo below, our Walmart carries a nice selection to choose from, so we loaded up. In case you were wondering, Kim was at a Neighborhood Market and not a Super Center. When you decide on which Walmart to shop at, don’t forget about Walmart’s Online Shopping option as well. How about we move on to the recipe? Just a quick F.Y.I., this is a simple drink, so there aren’t a lot of instructions. Additionally, I will not be adding any tips this time around. I mean, it’s a smoothie, you shouldn’t have much trouble with this recipe. But, if you happen to have any questions, feel free to leave a comment, we are pretty to quick to respond. 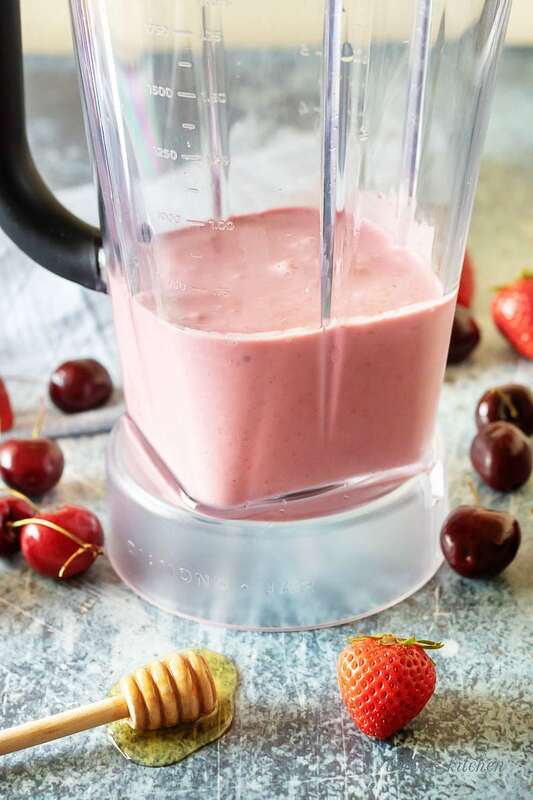 First, combine the yogurt, almond milk, strawberries, cherries, raspberries, and honey in a blender. Basically, toss everything in to the blender. If you don’t have a good drink blender for this step, you can use a food processor too. Next, blend the ingredients together until everything is smooth and creamy. Feel free to add additional milk to thin out the mixture if desired. Last, serve immediately! See how quick and easy this breakfast was to prepare. 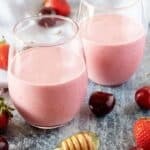 In closing, Kim and I hope you enjoyed our berry smoothie offering and thank you for “dropping by.” Find out for yourself just how delicious Greek yogurt can be when used in a recipe or eaten alone. 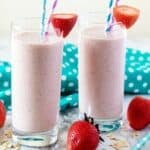 Love smoothies? Then we have you covered, check out our Pineapple Coconut Smoothie or our Strawberry Banana Smoothie! 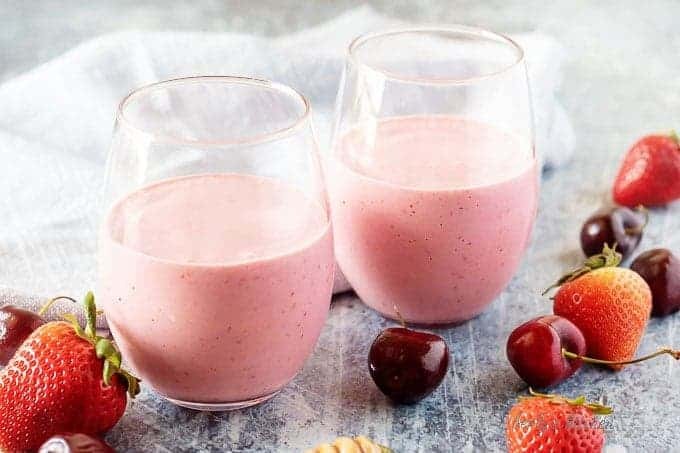 First, combine yogurt, almond milk, strawberries, cherries, raspberries, and honey in a blender. Next, blend until smooth and creamy. Add additional milk to thin out the mixture if desired. The calories listed are an approximation based on the ingredients and a 1-cup serving size. Actual calories will vary. Storage of this berry smoothie is not recommended.